Beyer Carpet Cleaning knows that taking care of your upholstery is worth the buck. When it comes to spending money Beyer Carpet Cleaning knows you only want to spend on things that you need. You will get your carpets cleaned because it is obviously dirty and you want to live in a clean environment or maybe because it’s required if you are selling or leasing a home. However, have you ever stopped to think that maybe carpets aren’t the only thing that needs to be cleaned? Did you know that the furniture you sleep and sit on everyday are full of dust mites, dead skin cells, sweat, and allergens? If you think about it it will hit you like a ton of bricks. You will realize how “dirty” your upholstery has become. For your health sake it is important to remove these dirty things from your upholstery. So how do you remove these unseeable nasty skin cells and dust mites? Well, the answer is easy just call Beyer Carpet Cleaning. They are not only experts in the carpet cleaning industry but also with upholstery cleaning and tile and grout cleaning. 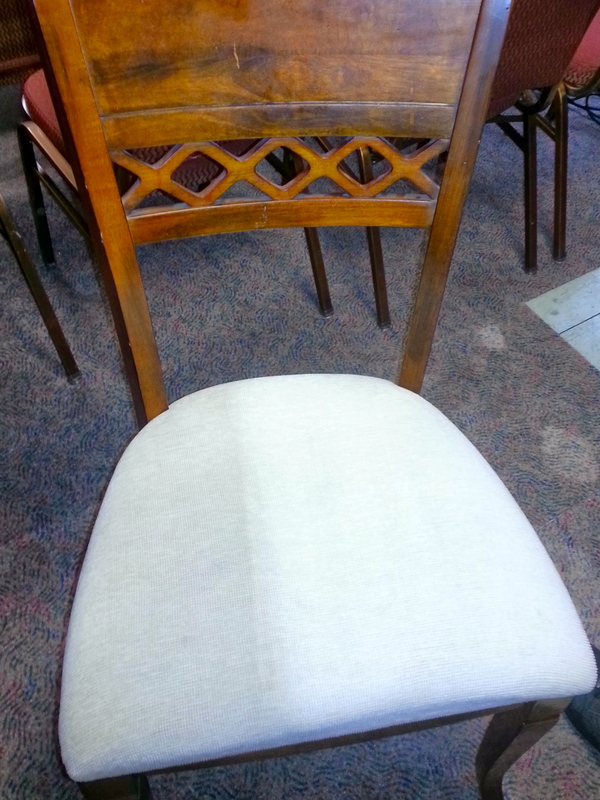 Upholstery cleaning is a pretty easy but delicate situation. It is extremely important not to over wet the upholstery because if too much gets into the cushions it may not all be extracted. If there is excess water it could lead to mold and mildew growing within the fibers of your upholstery. Beyer Carpet Cleaning uses a low PSI in order to make sure your upholstery is not over soaked in any way. Before they steam clean Beyer puts down their special prespray solution made up of enzyme and emulsifier solvents and deodorizer to remove any spots or stains from food, drinks or sweat. Once the prespary is put down the technician will gently scrub it in to fully remove anything that might be on the surface. Once he is done with the prespray process he will then vacuum and steam clean the cushions and sofa. 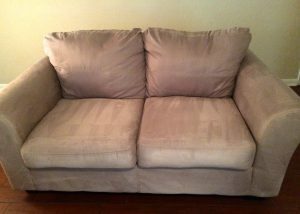 The technician will put the cushion back on your sofas will look good as new. 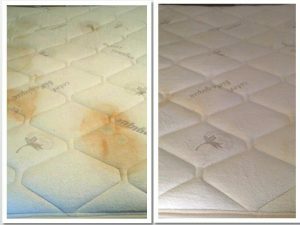 The same method is used to clean mattresses, dinning chairs, and vehicle interiors. You can’t go wrong using Beyer Carpet Cleaning for your upholstery cleaning needs. They don’t overcharge you and you’ll have clean great looking upholstery once again. So wether it’s dust mites, dead skin cells, allergens, sweat, urine, food, or drink spills removed from your upholstery call Beyer Carpet Cleaning.